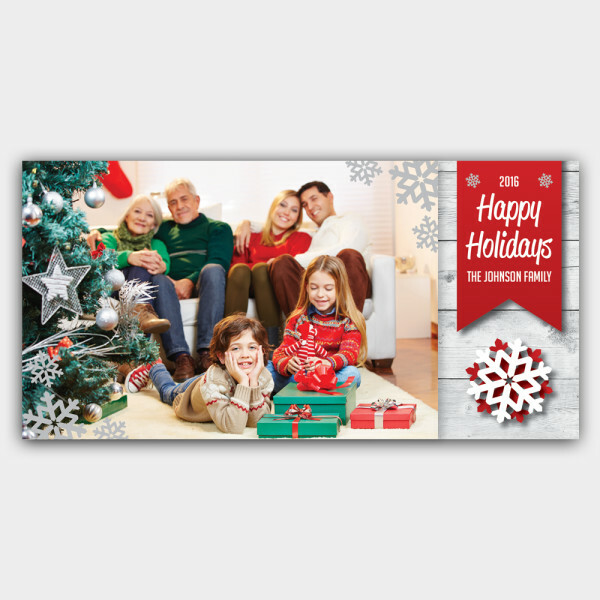 Spread some warm, family cheer this holiday season, by sending these custom photo holiday cards. Take pride in your family, and spread some love, with this unique holiday card. 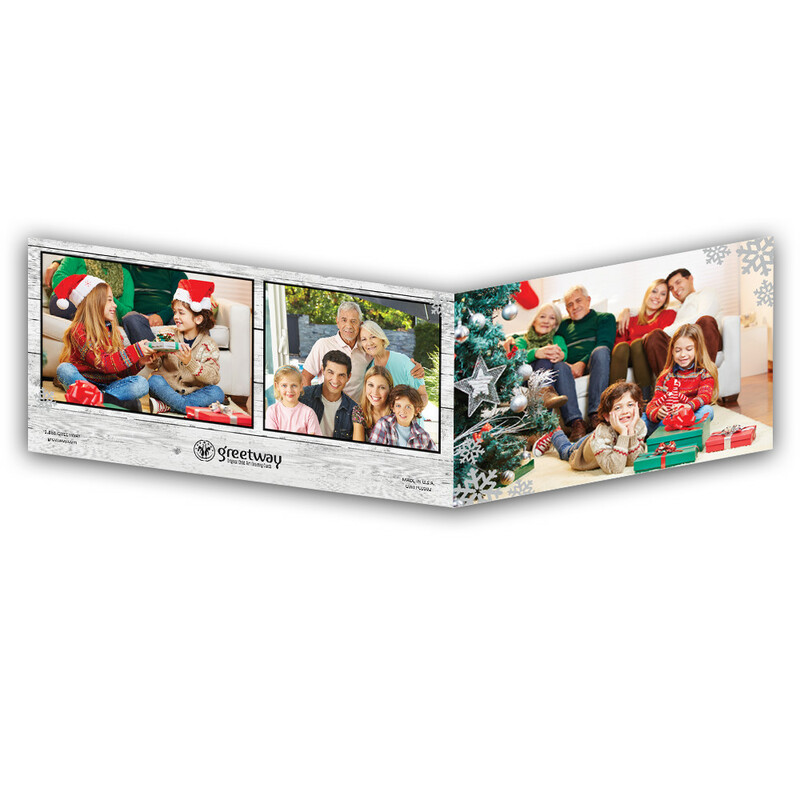 You can choose up to six different family memories to create your personalized photo holiday card, and these photos are arranged against a rustic, white-wood background. 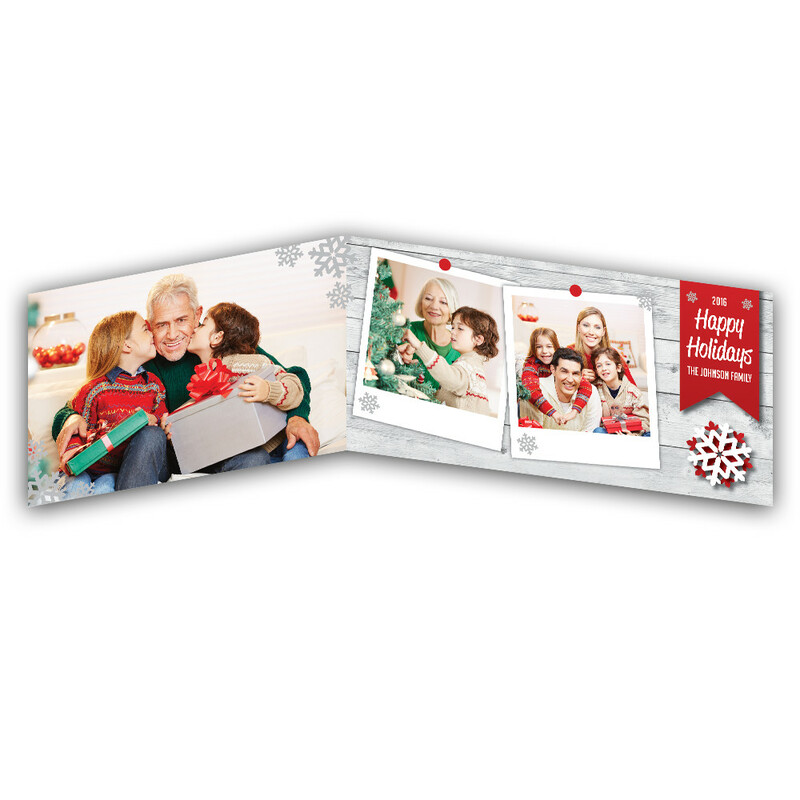 The inside features artistically placed photos within polaroid picture frames, and the whole card is scattered with beautiful snowflakes and festive charm.